Viknesh Vijayenthiran November 29, 2018 Comment Now! 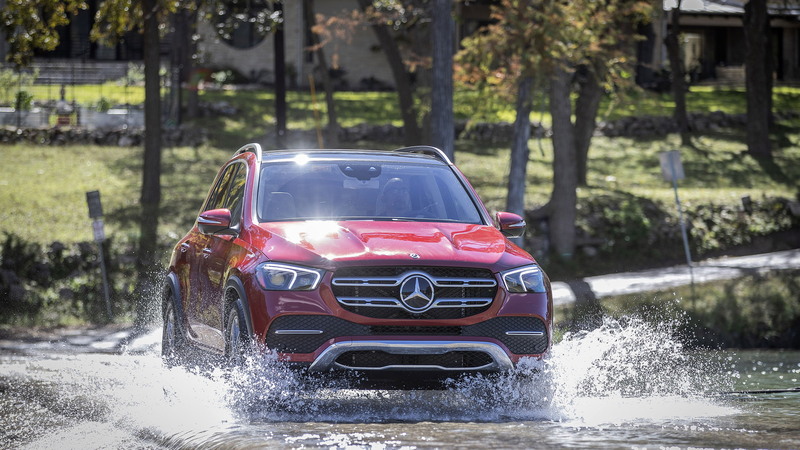 The redesigned 2020 Mercedes-Benz GLE will start at $54,695, including destination, when it reaches showrooms next spring. 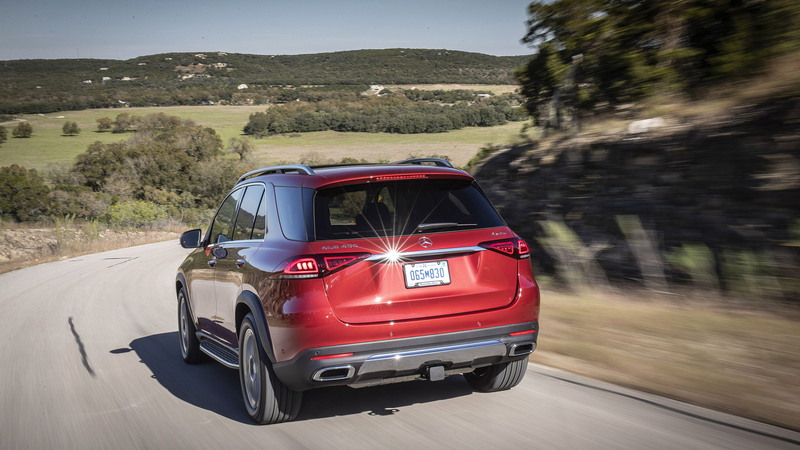 The starting price is $2,000 less than in the previous model year but the base model for 2020 comes with a 4-banger and rear-wheel drive, whereas the previous base model had a V-6 and all-wheel drive. 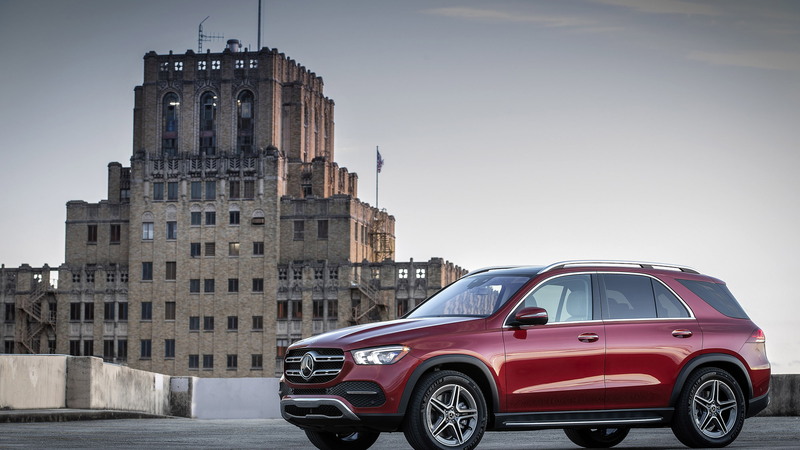 Nevertheless, the 2020 GLE even as the base GLE350 model is a well-sorted vehicle, with its 2.0-liter turbocharged inline-4 sending 255 horsepower to the rear wheels. 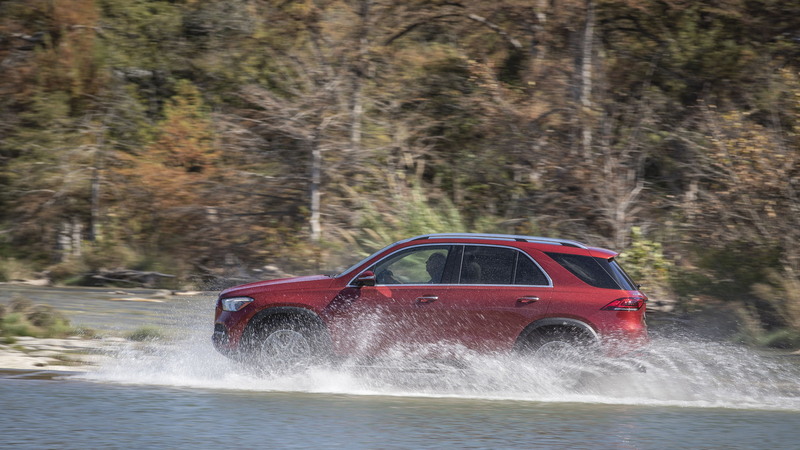 Upgrading to the all-wheel-drive GLE350 4Matic will cost you an additional $2,500. 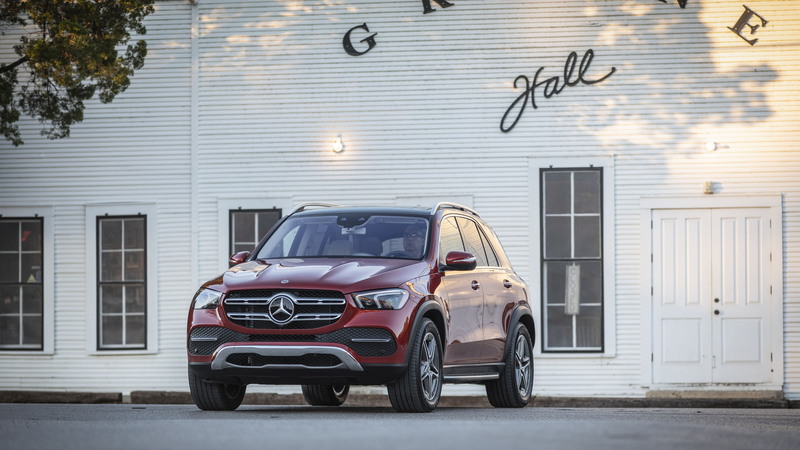 Should you want greater performance, the 2020 GLE range also includes a GLE450 4Matic model that starts at $62,145, including destination. This model features all-wheel drive and a 3.0-liter turbocharged inline-6 with mild-hybrid tech. Peak output is rated at 362 hp. Standard across the 2020 GLE range is a 12.3-inch digital instrument cluster and a second 12.3-inch touchscreen display for the infotainment. Navigation, LED headlights, park assist, and numerous additional electronic driver aids are also standard. There are plenty of additional GLE models coming down the line. A plug-in hybrid option is coming for fuel-conscious buyers and for performance fans there will be multiple offerings from AMG likely badged GLE53, GLE63 and GLE63 S, respectively. The latter should pack a 4.0-liter twin-turbocharged V-8 with close to 600 hp.